Blocks and Files HP has warned El Reg not to get its hopes up too high after the tech titan's CTO Martin Fink suggested StoreServ arrays could be packed with 100TB Memristor drives come 2018. In five years, according to Fink, DRAM and NAND scaling will hit a wall, limiting the maximum capacity of the technologies: process shrinks will come to a shuddering halt when the memories' reliability drops off a cliff as a side effect of reducing the size of electronics on the silicon dies. The HP answer to this scaling wall is Memristor, its flavour of resistive RAM technology that is supposed to have DRAM-like speed and better-than-NAND storage density. Fink claimed at an HP Discover event in Las Vegas that Memristor devices will be ready by the time flash NAND hits its limit in five years. 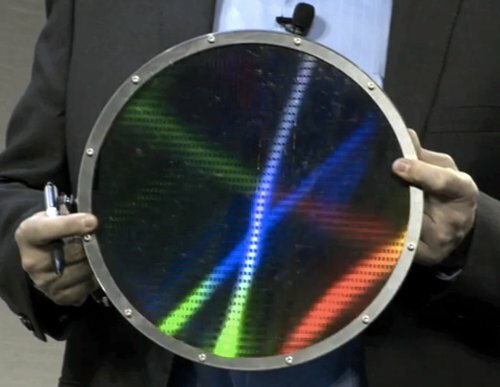 He also showed off a Memristor wafer, adding that it could have a 1.5PB capacity by the end of the decade. The HP Labs boss also said that, by 2018, we could pop 100TB Memristor drives into StoreServ arrays. Today a 3PAR StoreServ 7450 enclosure can have 240 solid-state drives, supporting a maximum raw capacity of 96TB raw capacity using 400GB SSDs. Now imagine 240 100TB Memristor drives in such a box: that's 24,000TB or 24PB. As with many other ground-breaking technologies being developed at HP Labs, HP has not yet committed to a specific product roadmap for Memristor-based products. HP does have internal milestones that are subject to change, depending on shifting market, technology and business conditions. On day one, Fink said in Las Vegas, Memristor density will be higher and speed faster than flash, but it won't be as fast as DRAM. Over time its access latency will decrease, we're assured. Memristor cells could be multi-layer, with two-bit-per-cell and three-bit-per-cell versions achievable, added Fink. He also claimed Memristor layers could be stacked, with four layers achievable and six possible. We assumed Memristor drives would be introduced by HP before 2018; now the company's saying the plan is still up in the air. 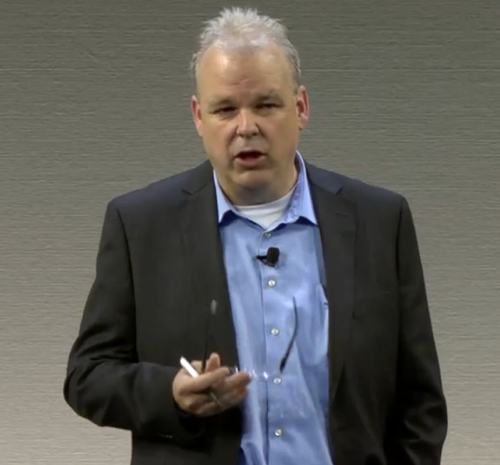 So, there is still no specific product roadmap but HP’s CTO talked confidently of HP popping 100TB Memristor drives into StoreServ arrays in five years.